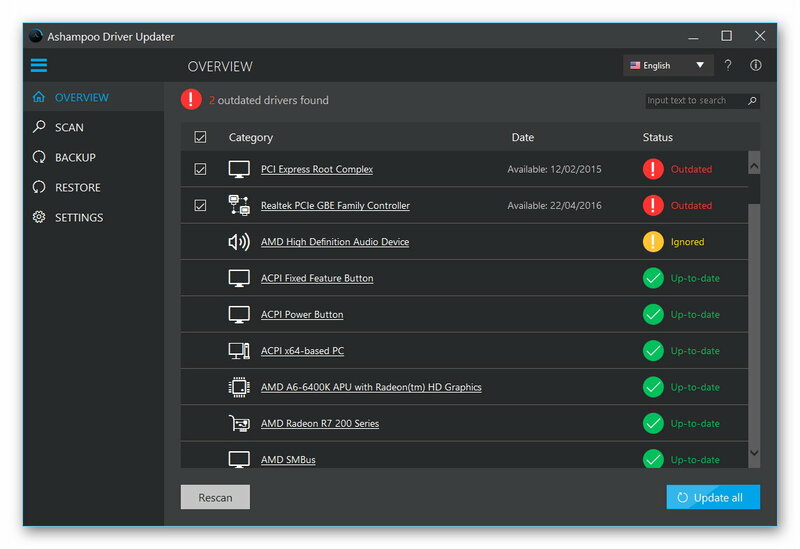 Ashampoo Driver Updater provides updates for a wide variety of components and devices from professional to lesser known brands. As soon as new drivers become available, the instantly get added to Ashampoo Driver Updater’s database and therefore become available to you. There’s no need for menu acrobatics with Ashampoo Driver Updater. The well-designed program performs its job of keeping your computer up to date quickly and with a high degree of usability.